Mother London executive creative director Hermeti Balarin and Greenpeace executive director John Sauven appeared on stage together at Advertising Week Europe to discuss the impact of "Rang-tan", released in August last year to raise awareness of the destructive impact of palm oil cultivation on animal habitats. The pair spoke about keeping the campaign going following its moment in the headlines in November, after Iceland protested about being denied clearance to run an adapted version of the film on TV as its Christmas ad. It was rather ironic given people’s usual reaction to marketing, Balarin said, that more than a million people signed a petition demanding to see the spot. But Balarin was gratified that the separate petition that Greenpeace launched alongside the original "Rang-tan" in August has also reached more than a million signatures (1,289,637 worldwide, to be precise). Sauven reminded the audience that, while the campaign has enjoyed a high profile, it has not actually succeeded in its aim, which was to ensure big food and FMCG companies see through their pledges to phase out the use of palm oil that contributes to deforestation by 2020. However, it has scored smaller victories, for example securing a fresh pledge by Wilmar, the world’s largest palm oil trader, in December 2018 to stop buying the commodity from forest destroyers. It did this by pressuring Wilmar customer Mondelez into threatening to cut the company off if it did not reform. Balarin added that "Rang-tan", which has been viewed more than 80 million times, "is just the beginning. We continue to keep the story alive and put pressure on these companies to clean up their act." The follow-up to "Rang-tan", which was released on 21 December last year, was called "There’s a Rang-tan in our classroom". 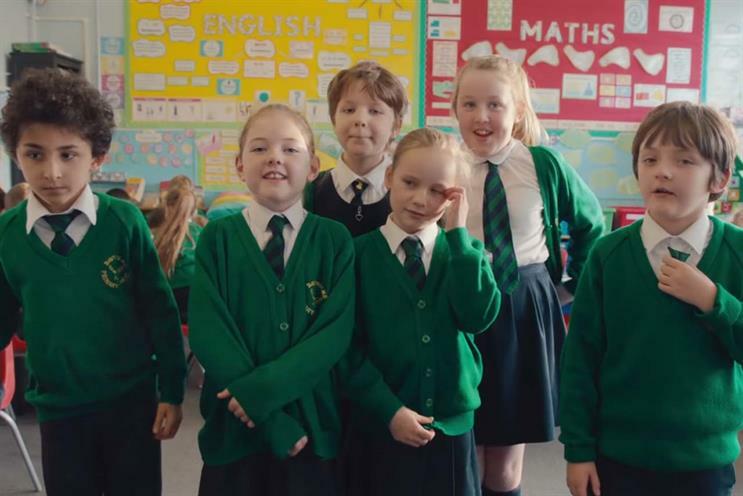 It features schoolchildren addressing big companies, reciting lines from the "Rang-tan" script and adding their own opinions. More recently, the story of "Rang-tan" has crossed over into a children’s book, There’s a Rang-tan in My Bedroom, that is published by Hachette. It was written by Mother creative James Sellick, illustrated by Frann Preston-Gannon and includes a foreword by Dame Emma Thompson, who voiced the original ad. "There’s a Rang-tan in our classroom" has not been cleared to be shown on TV, Balarin said, but Mother is looking into getting around this by using it in a TV ad for the children’s book.